There’s something almost frightening about the failures of The Good Soldier, a documentary film compiling interviews with U.S. Armed Forces veterans of progressing generations, something potentially more incisive than a successful movie on the same topic would have yielded. We observe five uniformed men (from WWII, Vietnam, the Gulf War, and Iraq), all of them with horrific, haunting stories of friendly fire, suicide missions, and PTSD, and all of them now activists for peace in its vaguest, most Americentric sense (e.g., demanding that we immediately withdraw from Iraq). It’s not that their testimonies aren’t engaging; we feel a foreign, icy grip clamping our spine when we hear a younger man confessing that he filled unarmed Iraqi civilians full of lead and mortar while maintaining an exonerating “war is hell” mantra. But while the individual memoirs included indelibly sketch a legacy of unnecessary pain, their unrelenting first-person perspective gives them the feel of lively fiction. Without any kind of inexcusable data (such as a rough statistic cataloguing the number of civilian casualties in the included wars), it’s all too easy to dismiss the brutal content as a series of isolated incidents, even if we’re essentially aware that this isn’t the case. The rather startling problem is that we expect soldiers to slaughter without mercy, to play a bit dirty, to die in the line of duty when necessary, and, if not, to come home utterly fucked up. A lengthy tradition of 20th-century-and-beyond war fiction from Catch 22 to The Hurt Locker has established a nuanced “troop” stereotype consisting of a well-oiled murder machine inhabited by a vulnerable ghost, the implication being that national security always incurs an invaluable human cost. 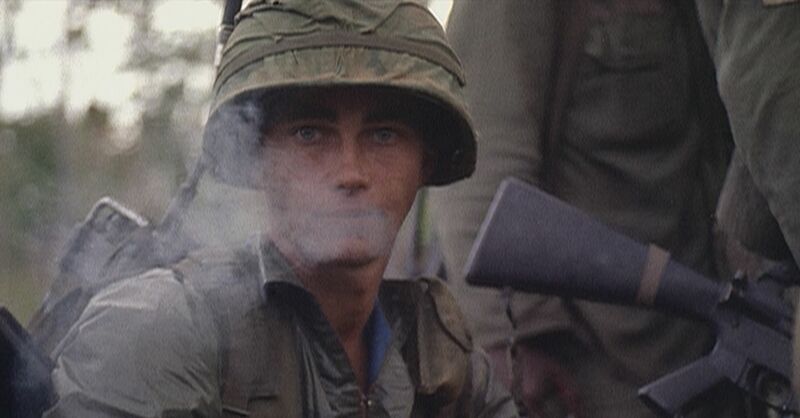 Good Soldier further confirms our long-held suspicions of the morbidly baleful process of combat and its psychological effects, but unlike, for example, Errol Morris’s recent works, it doesn’t bother to buttress the eye-opening firsthand accounts with a coherent historical argument. That it needs one, of course, is uncomfortably revealing: We are unable to conclude on our own that no international objective is worth such unrestrained bloodshed.